MG Motors has confirmed that after the launch of the Hector, they are going to launch an all-electric SUV in India by the end of this year itself. MG Motors has only recently revealed the name of their maiden product for the Indian market, an SUV the size of Honda CR-V but expected to be priced in the same segment as that of the Tata Harrier, Yes, we are talking about the MG Hector. Expected to be priced in the range of INR 12 lakh to 18 lakh, the Hector is one of the most awaited launches of 2019. However, for the SIAC owned British automaker, the Hector is not going to be the only blockbuster product which they have planned for the year 2019. In an official statement, Rajeev Chaba, President & Managing Director, MG Motor India has confirmed that by the year end and after the launch of the Hector, we will witness the arrival of the automaker’s second vehicle for the Indian market. Also Read: Morris Garages car line-up in India could look like this! The interesting thing to note here is that this second product will the MG’s first all-electric vehicle for our country. Yes, you heard it right! 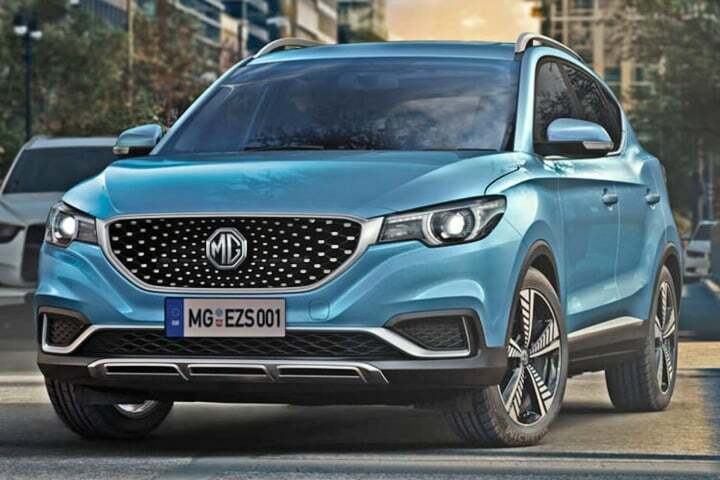 MG Motor’s second vehicle for the Indian market is going to be an electric vehicle, most likely the EZS which made headlines a couple of month back. This revelation was made by the company management alongside announcing its tie-up with Myles under which they are going to offer the Hector, just like Nissan offers the Kicks to its customer through a subscription based system. Also Read: MG Motors to launch several new SUVs in India! Talking about the MG eZS, this all-electric SUV gets an electric motor which produces an equivalent of 149 BHP along with 350 Nm of peak torque. The onboard battery pack ensures that this car comes with a 428 km of range with an o to 100 km/h time of 3.1 seconds. MG says that the eZS can charge from o to 80 per cent in a matter of just 30 minutes subjected to a fast charging outlet.